Rassilon knows, the regeneration of the fourth Doctor into the fifth shocked us fans, but you should see what it did to the Master. From the cold-hearted, power-mad villain of Logopolis he too transformed, into a metaphorical mustache-twiddling pantomime baddy whose ambition stretched no further than a bit of dicking about with British history. Castrovalva kind of made sense: he was out to take advantage of the Doctor’s post-regenerative weakness to do him in once and for all. But all that business hijacking Concorde and dressing up as fake Chinese magician? Gimme a break. As for Get Magna Carta? Not one to write up for Evil Megalomaniacs’ Monthly. In between, we got Planet of Fire, in which the Master attempts to gain a new regenerative cycle - no fixies for him - by passing gas with the help of Klytus and a silver robot that made Marvin the Paranoid Android seem the height of cybernetic sophistication. Worth a News in Brief in EMM at least. After that it was just cameo roles, playing second fiddle to the owner of a North Sea ferry fleet in that one with George Stephenson and groping trees, and then to the Valeyard in the epicly long Trial of a Time Lord. 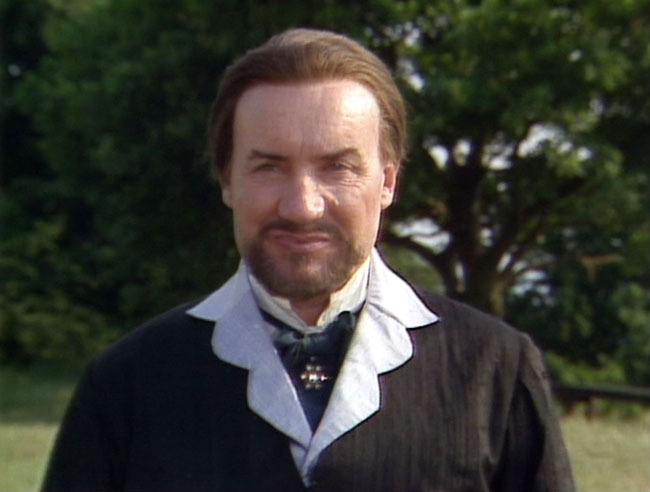 And so we come to the final episode of the classic series, Survival, in which the Master finally, finally comes across as a dangerous, Doctor-defying villain - though he’s put on a bit weight since we saw him last. No plan of galactic conquest here, just a desperate attempt to escape from the atavistic influence of an alien planet which ultimately fails. A rebooted series requires a rebooted Master. No more tissue compression elimination, no more hypnosis, no more beards, just a Mancunian yob with an idea he might like to be Prime Minister. And to enslave humanity. But this time it works! Yes, as Anthony Ainley became John Simm by way of Derek Jacobi and, dare we admit it, Eric Roberts - no, angel, it was just a bad dream - the Master got his mojo back. While the Doctor and Martha Jones are swanning about the universe, Gallifrey’s baddest boy is coming to power as Harold Saxon - see, he is the Meddling Monk; think about it - and subdues humanity with technobabble and deadly silver balls.